1. 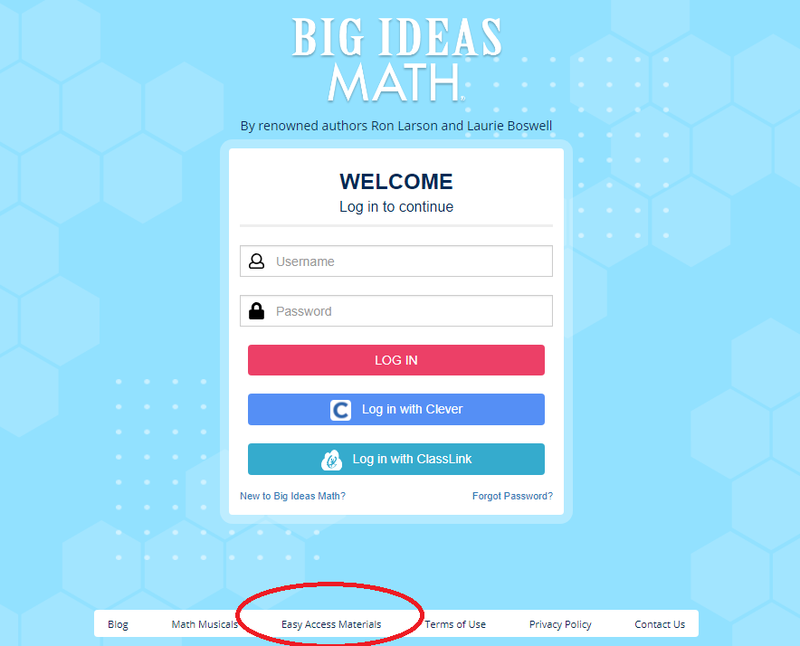 Go to www.bigideasmath.com or simply click on the link above. 2. 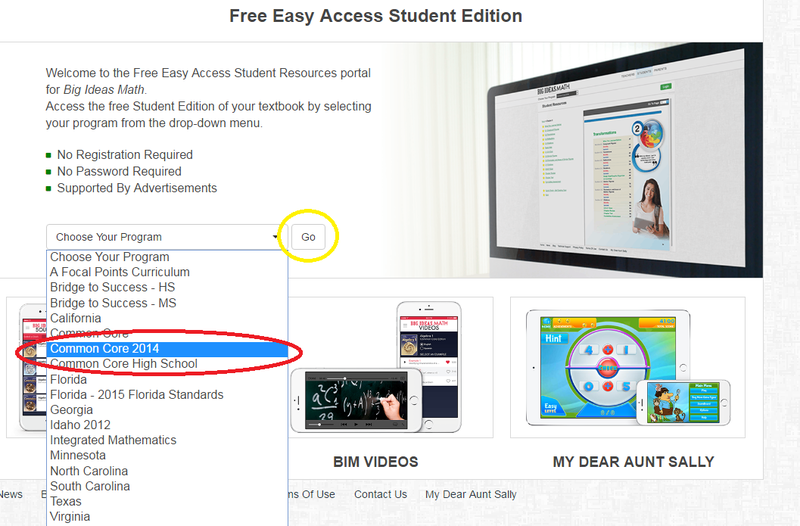 Click "Easy Access to Materials?" 3. At the bottom of the page click "Click Here"
4. Choose "Common Core 2014" from the drop-down menu, then click "Go"
5. Find your textbook - Big Ideas RED Book. 6. Use the table of contents to find the section we are working on. The answers to odd-numbered problems are in the back of the book in the section called “Selected Answers” that you will find near the bottom of the Table of Contents of each section.